There is not one family event where we do not have an egg appetizer. 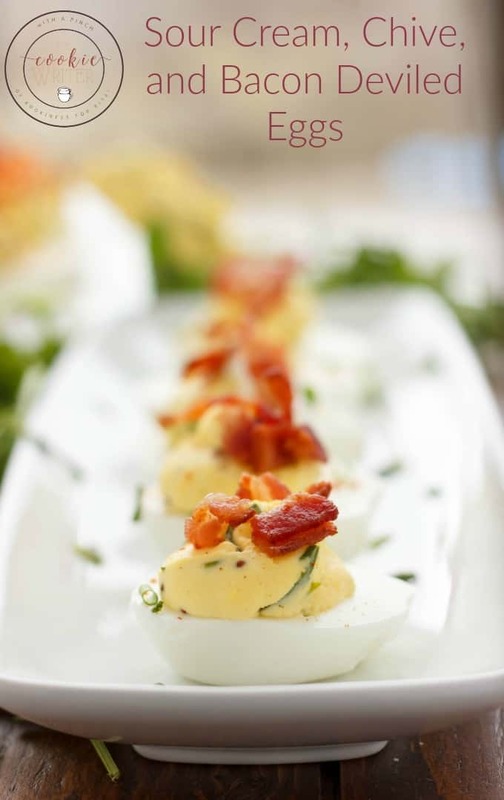 These Caesar Deviled Eggs are a spin on the classic, and make the perfect #SimpleCheer holiday appetizer! This is a sponsored post. I was fortunate enough to receive products and monetary compensation from Egg Farmers of Canada. Though products were received, all opinions are my own and I would not recommend a product that I did not enjoy. That being said, we are a family of egg lovers. UPDATE: My video is up showing you just how easy these Caesar deviled eggs are! That being said, besides my sister watching my daughter while I was away, she provided me with today’s recipe idea: caesar deviled eggs! 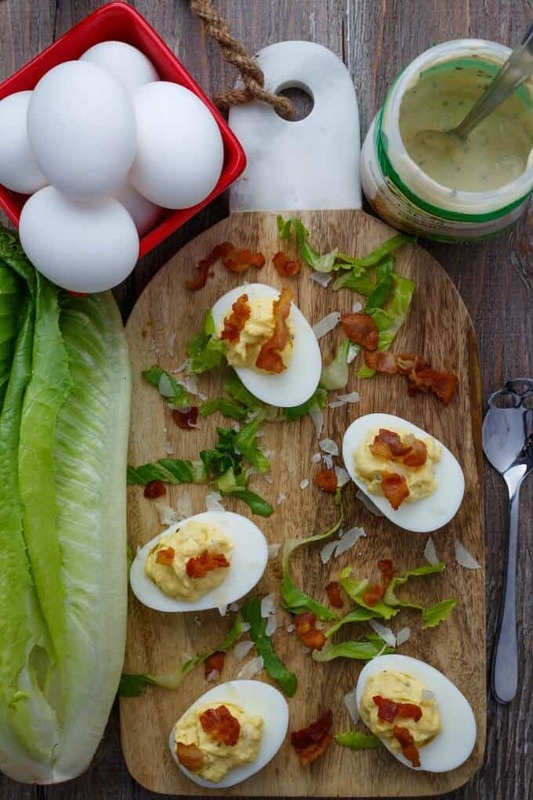 Think caesar salad in deviled egg form. She doesn’t really care for mayonnaise, and while caesar dressing has the same cosistencey, it definitely has a different flavour. Replacing mayo with dressing in these caesar deviled eggs really opens up the creativity department. 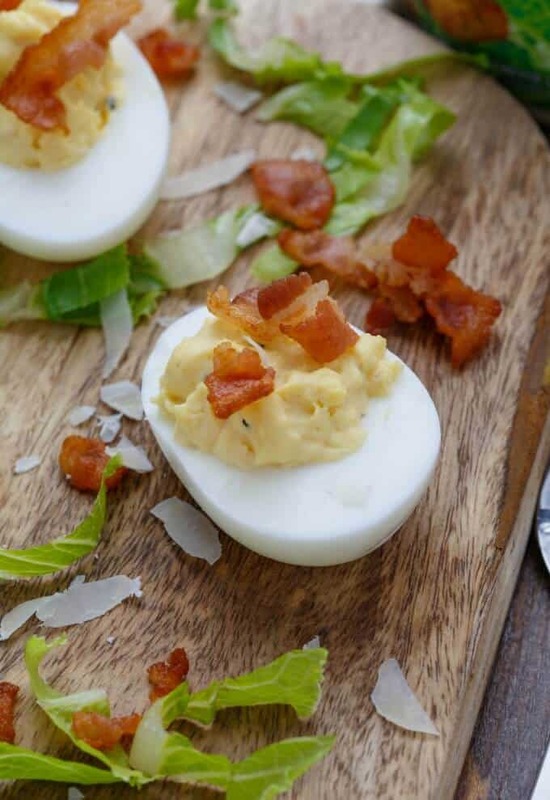 I topped the caesar deviled eggs with bacon and parmesan to really give that traditional salad feel in this recipe. While cleaning up after the photo shoot I totally realized I should have topped these onto an actual caesar salad! It would have been so fitting! Enough yammering from me of what I should have done, and more about delicious eggs. 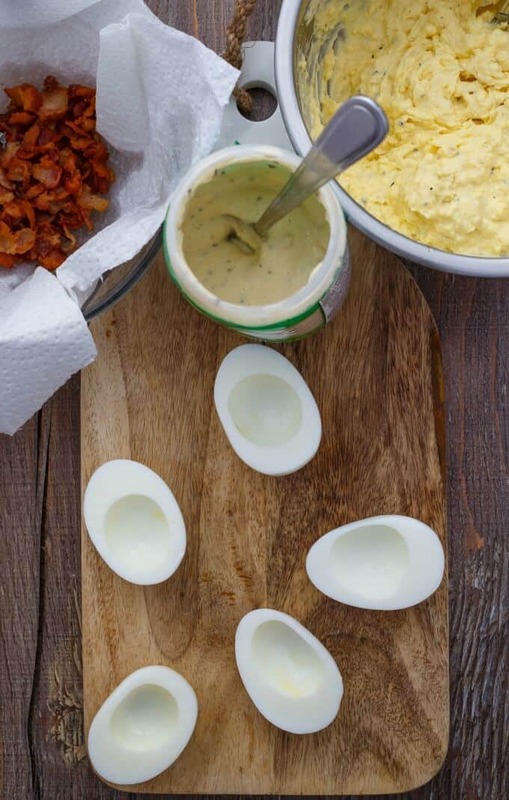 Not only are we looking for simple egg recipes this holiday season (be sure to take a look at everyone’s tricks and tips using the hashtag #SimpleCheer) but we want great tasting food with the highest of standards. It takes less than 5 days for eggs to get from the farm to your kitchen, meaning you get only the freshest quality from Canadian Grade A eggs. Canada’s eggs from the store are known for being among the best in quality and freshness in the world. So whether you are watching Christmas movies or enjoying a family Christmas party, eggs are one of the most versatile ingredients you can use in your dishes 🙂 And if your family is like ours, deviled eggs will be fought over visciously until none remain! 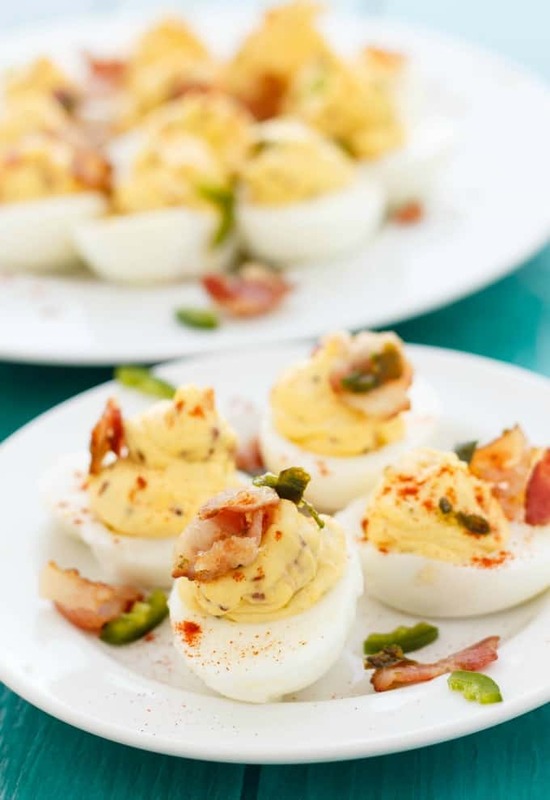 Quick and easy, you will love these caesar deviled eggs during a family get-together or just during an evening of movie watching! Remove the yellow yolk from each egg and place into a medium-sized mixing bowl. Add in caesar dressing, mustard, salt, and pepper. Stir until well combined. Place mixture into a piping or sandwich bag. Snip off corner and pipe mixture into each egg white. You can also use a spoon. Season with bacon and Parmesan cheese if desired. 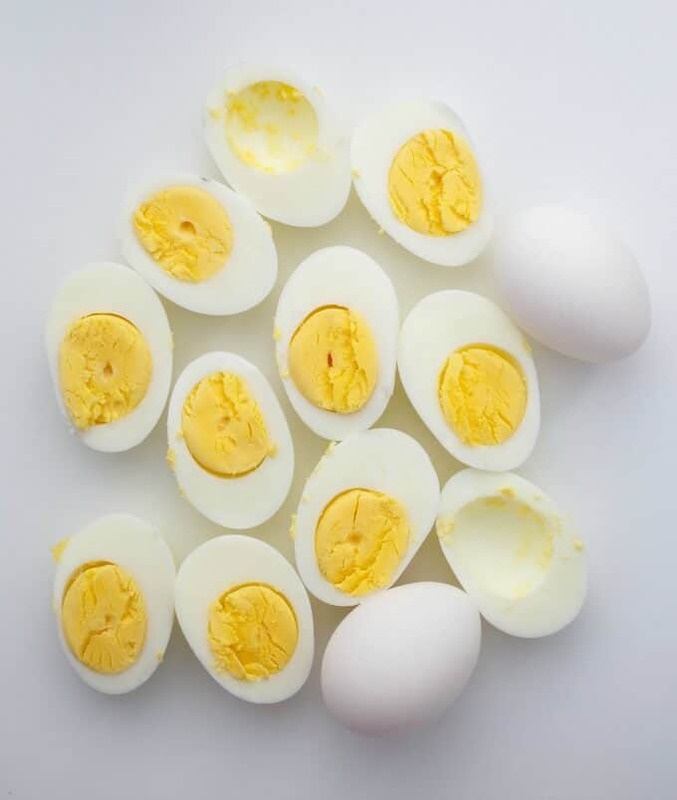 You can hard-boil your eggs a day or two in advance and peel them when needed. Now, deviled eggs are really easy to make, but let’s be honest, if you don’t hard-boil them properly, you are in for a bad time. I highly suggest the method from Simply Recipes. No vinegar or baking soda for me; I added a bit of olive oil to the water and bam, perfect hard-boiled eggs! Seriously, they are gorgeous! This will be the only method I use from now on.